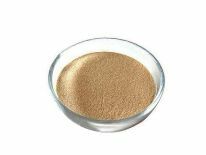 We are the leading manufacturer of Hydrolyzed Vegetable Protein Flavor Enhancer is a natural alternative to sodium glutamate/ajinomoto used in chinese food, HVP acts as a flavor enhancer for seasoning on ready to eat food products. As the proteins are broken down into their constituent amino acids, the result contains as much as 20 percent glutamate and that is the reason hydrolysed vegetable protein is accounted as a constituent in foods giving it a savory or a meaty flavor. Hydrolyzed vegetable protein find use in instant soups. Ready to eat snacks such as extruded snacks, potato wafers, spice mixes, meaty flavour enhancer, soy sauce, mono sodium glutamate – ajinomoto replacer. HVP Suboneyo - Derived from food grade soy proteins available as HVP – I; HVP – ii for savory flavour available as yellowish light brown spray dried, hygroscopic water soluble powder. 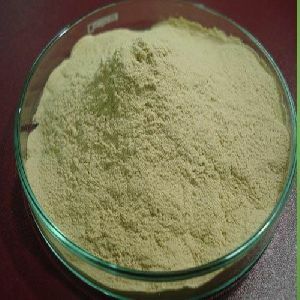 HVP Peanut - Derived from food grade peanut proteins available as HVP – I; HVP – II. HVP peanut offers more of meaty, smoked flavor suitable for , chicken soups. Price : Rs. 180/ kg.